CUSTOMER: “ Exxon Neftegas Limited". 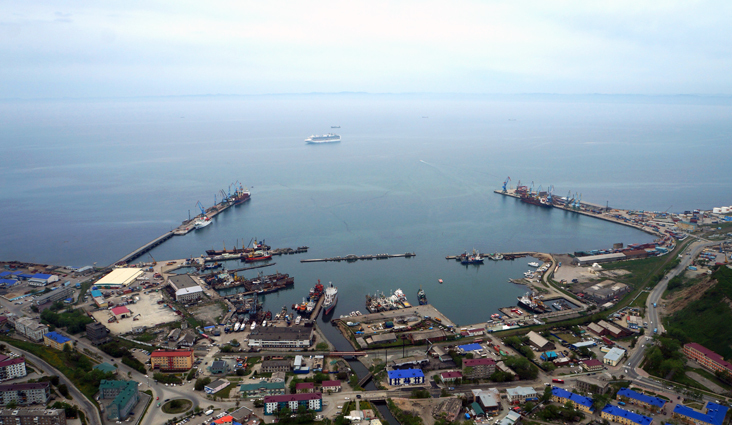 In 1997 JV LLC “Sakhalin-Shelf-Service” won the tender with “Exxon Neftegas Limited” for provision of supply base services in Korsakov Marine Trade Port under “Sakhalin-1” project. During 20 years of its operation, Korsakov Supply Base fully supported all programs of exploration drilling under ‘Sakhalin-1” project, process all cargo and equipment, required for construction of Chaivo and Odoptu OPF as well as onshore drilling facility “Yastreb” (the most powerful onshore drilling facility). Also, the Base processed cargo for “Orlan” drilling platform. At the moment, the Base provides services under “Sakhalin-3” project, operators of which are such companies as LLC “Gazpromgeologorazvedka” and LLC “Gazprom Flot” . Open storage areas - 10400 м2. Mobile cranes, capacity 50-160 tns. Different trucks, capacity up to 70 tns.